She gets a bottle of the “very best quality red wine (Italian, Spanish or French)” in her dressing room. Love them. 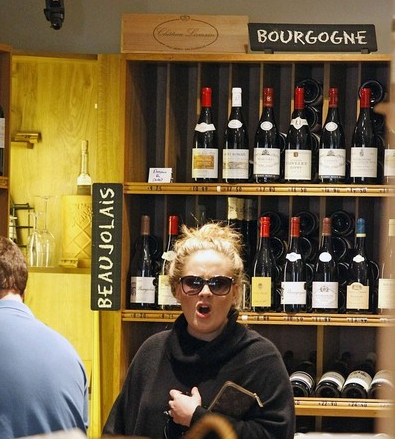 And I like Adele, but as for “Rolling in the Deep”: if it hear it one more time I, too, will need a bottle of the best quality red wine possible. Tags: adele north american leaked tour rider red wine chardonnay someone like you. Bookmark the permalink. Previous post ← a very grapey gift guide!